At 66 Isabella, our residents can enjoy a fun and vibrant neighbourhood, luxury apartments, and impressive building amenities, but did you know we have a dog wash and grooming station? Park Property is committed to satisfaction and that includes making our four-legged residents happy too! Don't stress about messing up your beautiful bathroom, just walk your pooch to our washing station for a stress-free bath! Never used a pet wash before? We have some great tips to keep Fido happy while he gets pampered. If possible, get your pet used to a bath at a young age. The more a pet is exposed to a bath, the more enjoyable it will be for both of you. Start introducing the bath before they need to be bathed. Visit the wash station to let your dog get used to the area and let them sniff it out to get used to the smell of the space and the other dogs who have been there. 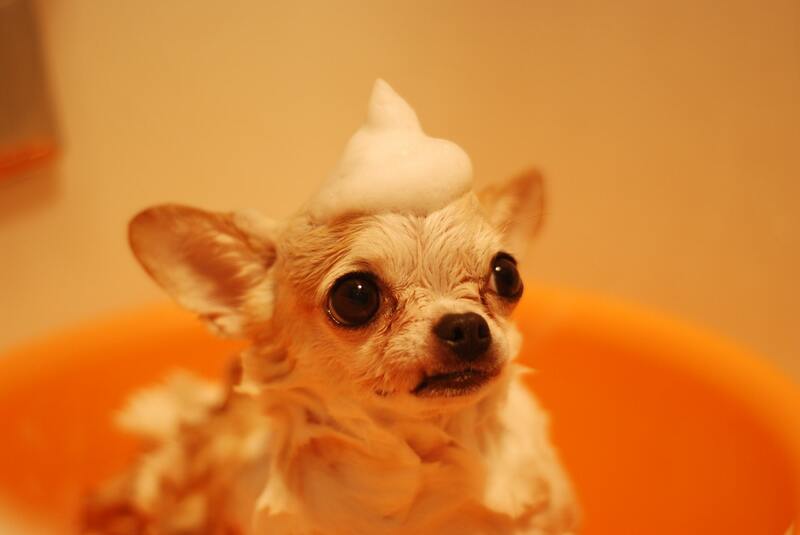 Shampoo – look for a brand that won't dry out your dog's coat. Pet Brush – brush the dog's coat thoroughly before turning on the water. Wash cloth and absorbent towels – using a wash cloth over the face is important so you can keep water and soap away from their eyes and ears. Cotton balls – cotton balls will prevent water from entering your pet's ears. Don't forget the treats! Giving your pet treats during and after the bath will help with behavior. Before you use shampoo, always make sure the coat is thoroughly wet, then work in the shampoo. Wash from the neck down paying close attention to armpits, toes, groin, and bottom. When rinsing, make sure you get all the soap residue off your pet. Any remaining residue will cause an itchy coat and an uncomfortable pet. Drying with forced air is optional and based on your pets comfort level. New pets to bathing should just be towel dried. Once they are used to bath time, you can try a low heat setting and stop if your pet is uneasy. Is a dog washing station something you and your pet would enjoy? Check out our listings today!